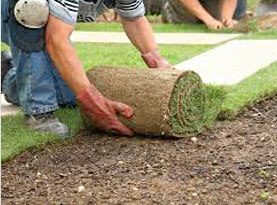 Doing your own yard work is very tedious work and should be left to the professionals. Most people want to have a yard that looks good and adds to the value of their home. 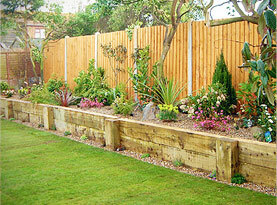 The problems start to occur when you are not sure what to do about the lawn, shrubs, trees and other plants. If they are not taken care of properly they can start to die or even become overgrown. When it comes to trees you want to take good care of them for several reasons. One is that trees will get better with time. Trees are there to grow to maturity and give off shade and beauty to your yard. When they are large and not kept they can then become a danger to you and your home. 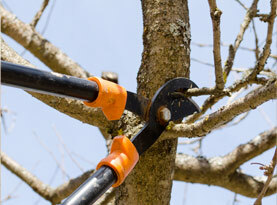 One aspect of caring for your trees is to know when you need to have them removed from your property. Tree Encroachment: One of the most common reasons behind removing a tree from your property is because it is encroaching upon other parts of the home or property. The trees that are planted should be laid out and thought through. The trees need to be set in a position that they have the space to grow to reach their full potential. If the plans are not made properly this can be the tree leaning near the house or limbs stretching across the home, cars or other structures. It is best to have the trees removed if they might cause damage to your home. You can then have a new tree planted in the area that has room to grow. Broken Tree Trunk & Other Storm Damage: Another problem that can happen is that the tree can be damaged during a storm or other bad weather. The weather that is often a problem for large trees especially if they are not taken care of is wind. High winds have been known to knock a tree all the way down or break off large branches. If you experience a tree that has been damaged or downed from a storm it is best to have it removed and cleared from your property. It can be dangerous if the branches are broken and even hung up in the tree. Tree Disease: Lastly you need to have your trees inspected to find and diagnose diseases that might be present on the tree. The disease is something that is very damaging to a tree and when it starts to gain control of the tree it is often best to have the tree removed. The disease will continue to eat away at the tree and then it will not be stable. If you consult with a tree expert that says the tree is diseased you can talk about having the tree removed. Tree Removal Services & More in Waterbury, Wolcott, Cheshire & Prospect Connecticut. 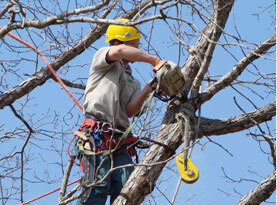 Bell Tree Services offers tree removal services if your tree has been damaged. Give us a call to have your tree removed.